The universe is cruel. This is a fact that Cristiano Ronaldo is keenly aware of. The unrelenting existence of Lionel Messi has been bad enough, but now his own words are being used against him by the cosmos to add insult to inconvenience. On Thursday, Cristiano starred in a Q&A video that began with the question of whether he prefers penalties or free kicks. Given his extreme struggle with free kicks in recent years, it came as no surprise that he said he prefers penalties (of which he had only missed one all season…to that point), citing the adrenaline produced by that specific situation. 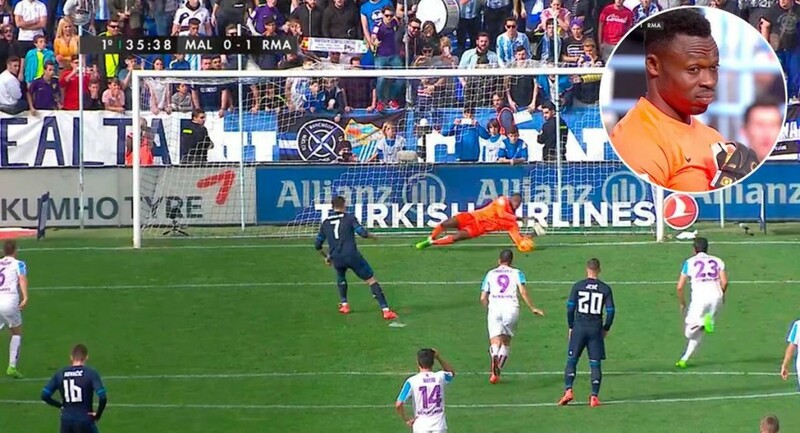 On Sunday, Cristiano had what would prove to be an important penalty saved by Malaga goalkeeper Carlos Kameni. He did score from the run of play in the match, but that was only enough to get Real Madrid a 1–1 draw, pushing them further off Barcelona’s league-leading pace. Speaking of Barcelona, this development also comes after Cristiano was asked about Messi’s pass penalty and cryptically said “I know why he did it, but I don’t have anymore to add.” Luis Suarez went on to miss a subsequent penalty in Barcelona’s win over Sporting Gijon, bringing the Messi/Neymar/Suarez combined conversion rate down to 50% (6/12) this season while Cristiano has converted seven of nine. What does this all mean? Never take penalties for granted. And never do Q&As on some sort of weird outdoor bed chair.